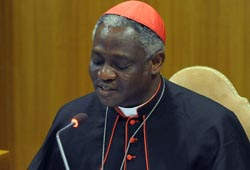 On Monday the Vatican released a “note on financial reform” from the Pontifical Council for Justice and Peace. I’ll leave it to the economists to debate the merits of this proposal (see pro and con). More interesting to me is the Vatican’s commitment to thinking theologically about the global economic crisis. What does their example show about the current plans, proposals, and packages suggested by most economists? I wonder also about our politicians who loudly claim their Christian faith but whose policies show little of the Christian imagination found in the Vatican’s note. The authors first address what they see as the roots of the crisis. What has driven the world in such a problematic direction for its economy and also for peace? First and foremost, an economic liberalism that spurns rules and controls… An economic system of thought that sets down a priori the laws of market functioning and economic development, without measuring them against reality, runs the risk of becoming an instrument subordinated to the interests of the countries that effectively enjoy a position of economic and financial advantage. This diagnosis will, of course, be rejected my many economists and politicians. Regardless, it’s significant that their theological convictions lead the authors to call out entire market systems as being detached from the reality of many people in this world. They’re able to do this – to question accepted wisdom – because of a significant assumption. However, to interpret the current new social question lucidly, we must avoid the error – itself a product of neo-liberal thinking – that would consider all the problems that need tackling to be exclusively of a technical nature. In such a guise, they evade the needed discernment and ethical evaluation… Being closed to a “beyond” in the sense of something more than technology, not only makes it impossible to find adequate solutions to the problems, but it impoverishes the principal victims of the crisis more and more from the material standpoint. Here is a commitment to carefully examine incredibly technical questions with the aid of non-technical resources. Not only do the authors give weight to the moral dimension of our economic systems, they believe that to ignore these dimensions, to act as if our global economy simply needs to be fine tuned, is to act unjustly towards those most injured by the global recession. Having laid the groundwork, the authors go on to suggest developing a “supranational Authority” to regulate our globalized economy to avoid future economic disasters which, the note points out, always most impact the poor. It should be favourable to the existence of efficient and effective monetary and financial systems; that is, free and stable markets overseen by a suitable legal framework, well-functioning in support of sustainable development and social progress of all, and inspired by the values of charity and truth… The consent should involve an ever greater number of countries that adhere with conviction, through a sincere dialogue that values the minority opinions rather than marginalizing them. So the world Authority should consistently involve all peoples in a collaboration in which they are called to contribute, bringing to it the heritage of their virtues and their civilizations. I imagine that this is where most economists and politicians roll their eyes and mutter about how unrealistic or undesirable they find such a suggestion. Perhaps they’d be correct. But again, what is striking about this entire 41 page proposal is how Christian convictions and theological traditions can lead to an entirely different paradigm from which to consider the possibility of stopping the increasingly predictable and devestating cycle of economic boom and bust. “We should not be afraid,” the authors write, “to propose new ideas, even if they might destabilize pre-existing balances of power that prevail over the weakest.” But whether it’s due to fear or impoverished imaginations it’s unlikely that proposals such as this one will gain traction anytime soon. Why? Our country is in the run-up to a presidential election. Most of the candidates (in both parties, though we’re mostly hearing from the Republicans at this stage) have said plenty about the economic mess and how they plan to fix it. Additionally, most of the candidates strongly tout their Christian faith. And yet, their economic plans and strategies show none of the theological reflection or charitable commitment found in the Vatican’s proposal.